Ignite Spot is an online accounting service for companies that have limited resources to perform such tasks in-house. 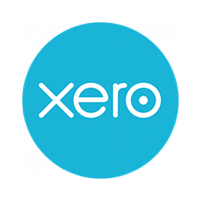 It offers solutions for bank reconciliation, accounts payable and receivable, tax filings, financial reports preparation, cash flow from operating (CFO) activities, and more. In this article, we cover its pricing information. Ready to get started with Ignite Spot? Visit its website. As of the date this article was written (01/31/19), there are no up-to-date Ignite Spot reviews online. 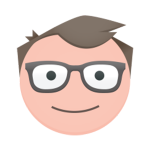 If you are a past or current Ignite Spot customer, leave a review to help other business owners who are deciding whether or not to use the service. Ignite Spot offers three levels of service: Semi-Monthly ($575/month), Weekly ($1,200/month), and Semi-Weekly ($3,750/month). The main difference between these levels is the target user. Pricing increases depending on the add-on solutions, such as tax returns and filings (starts at $1,700/year) and CFO and coaching services ($500/month). *You may contact its sales team for a customized quotation given your company’s needs. Ready to get started with Ignite Spot? Visit its website. What does Ignite Spot’s add-on tax service include? 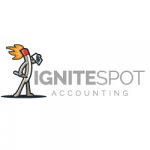 Ignite Spot’s tax service includes business and personal tax returns and three annual strategy calls with a certified public accountant (CPA). Every tax return includes an IRS audit support, an e-filing of your tax return, a review of the previous year’s tax return, and three hours of tax planning to use throughout the year. What happens when I subscribe to the CFO and coaching service? Users who subscribe to this service will get a dedicated Ignite Spot profit coach assigned to their account. Not sure if Ignite Spot is the right fit for you? Read our reviews of all top accounting software providers or check out one of these three Ignite Spot competitors.